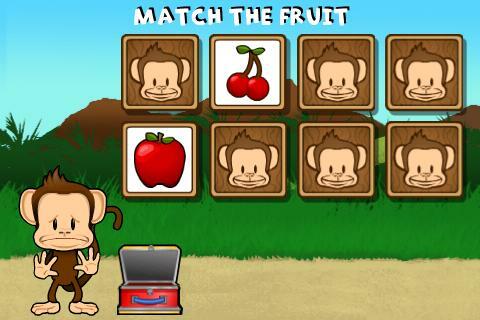 Monkey Preschool Lunchbox is a fun, simple to use app. It consists of 5 mini educational games, for children aged 2 to 5. The games can help children learn about colours, letters, counting, differences, and matching. Children must help the monkey to complete the activities, which are presented in a cyclical manner to promote repetition and reinforcement. They are rewarded throughout the game with stickers, which motivate them to keep on playing. The developers of Monkey Preschool Lunchbox have clearly looked at other apps for very young children and identified the sticking points in them. In others, menu screens and navigation challenge children more than the activities they wish to play. Icons aren’t necessarily as representative of the activity they represent to a child as they are to an adult. Written instructions mean little to children not yet able to read. The developers of this app have then skilfully avoided these pitfalls. All instructions are spoken. A real sense of fun is imparted to the activities by the lively and enthusiastic voice acting. The app’s homepage has a single prominent button that takes children straight through to the activities. These activities lead on one from another without having to be selected. It really has got the overall app structure just right. The activities themselves are all fun and easy to grasp. Children interact with the activities using simple gestures such as taps and dropping. They aren’t games in the strictest sense as there are no penalties, time limits or lives. Instead, children count fruit, match colours, shapes and letters, and practise their memory skills. This is as it should be. Cheerful praise and cute animations deliver praise for getting things right. Mistakes are sympathetically glossed over and children will never feel criticised in this app. Parents can see how much their child has engaged with the app by seeing how many stickers they have collected. These stickers also, of course, act as a continuing incentive to play through the activities. In the protected parents’ area of the app, an option to change the app’s language could be a boon for multilingual families as all text and speech is changed to the chosen language. The skills built by this app are of the sort that children need to be confident in by the time they go to school. Monkey Preschool Lunchbox is an app that parents can enjoy with their child and that children can make good use of alone. Monkey Preschool Lunchbox is a collection of five exciting educational games for your children aged 2 to 5. 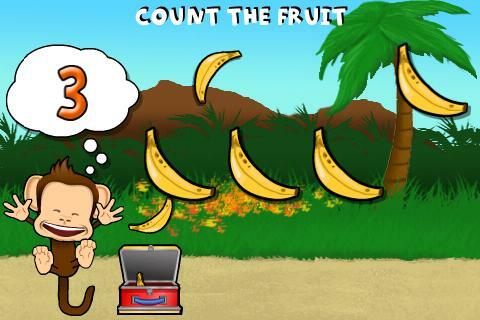 The loveable monkey presents a set of mini-games. When the child completes them successfully the monkey will give out various different rewards. 5 different games that teach children about colours, letters, counting, differences, and matching. Lovable animated monkey helps children along as they play the games. Dozens of sounds and voice recordings of colours, letters, fruit names, and more. Animated Stickers! Children get a sticker reward after every other game they win. Designed for early year foundation stage students - no confusing menus or navigation.